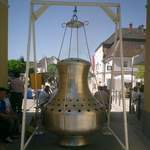 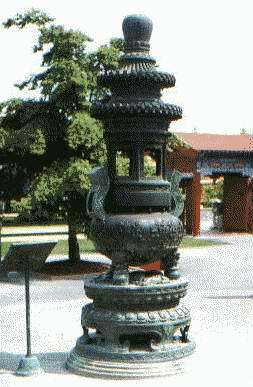 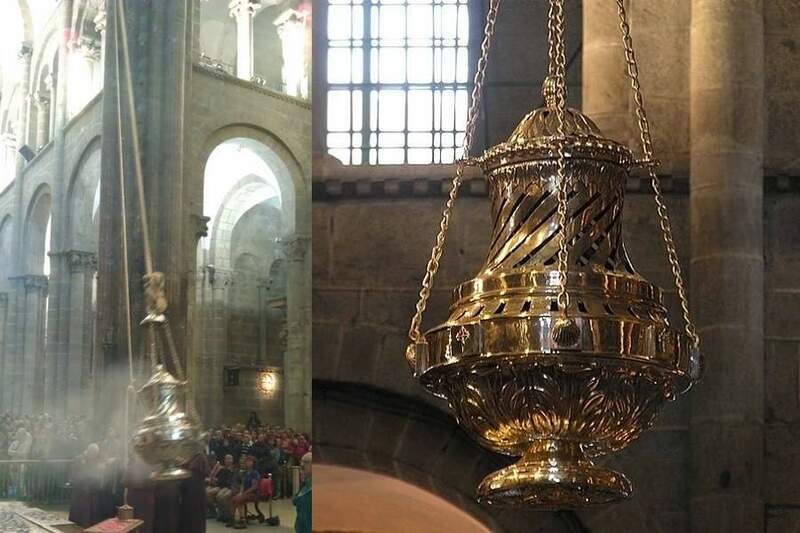 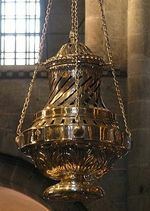 Description: The largest transportable and rotatable censer belongs to the Episcopal Diocese of Augsburg. 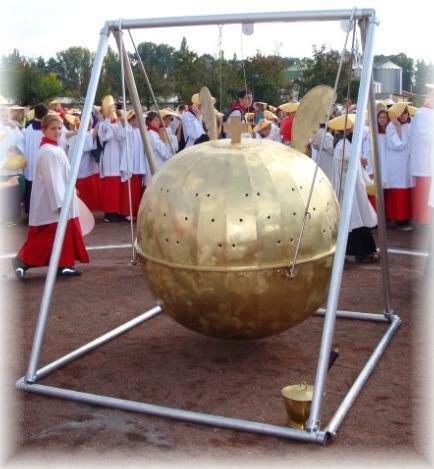 The stainless steel barrel is 3 feet tall, has a diameter of 1.5 m and weighs 180 kg. 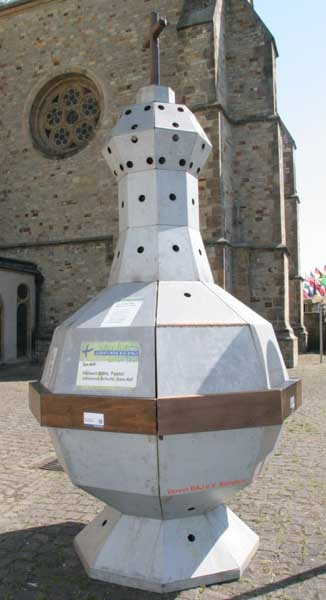 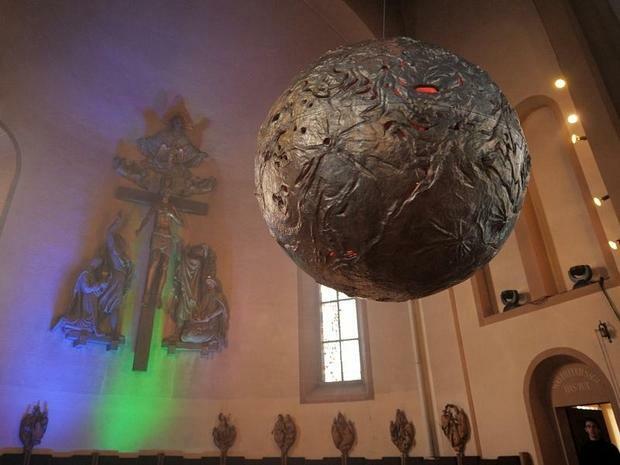 Description: This giant incense burner, located in the the Diözese of Paderborn is 4 meters high and has a diameter of 1.90 meters. 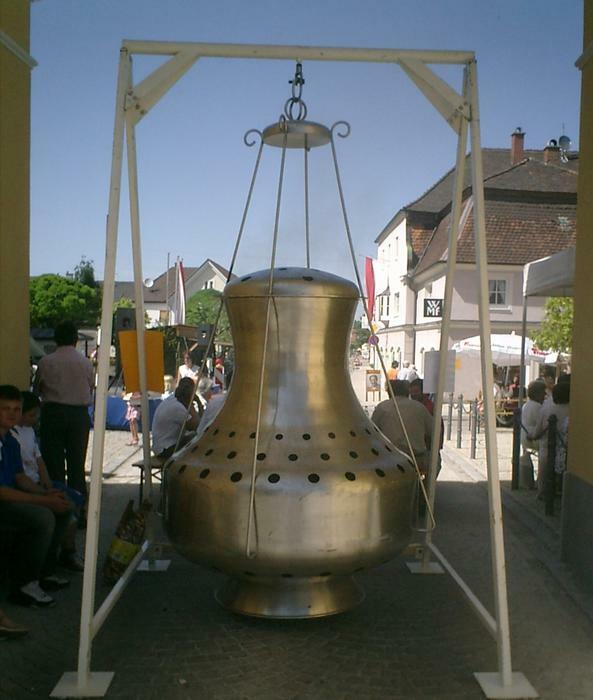 The galvanized steel construction weighs 500 kilograms. 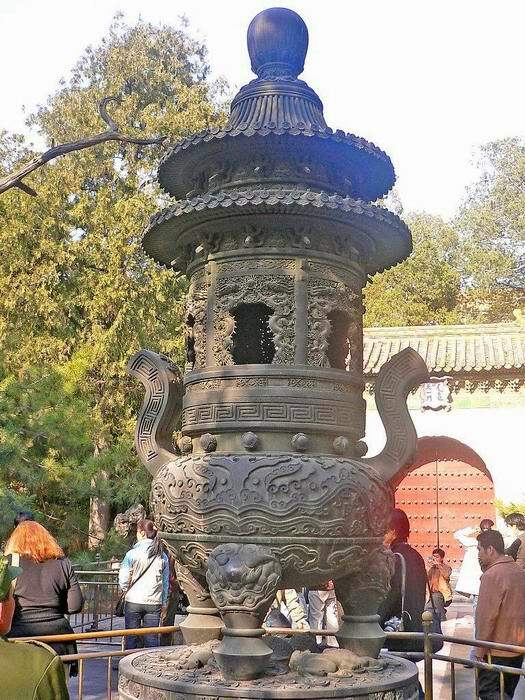 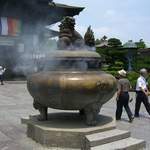 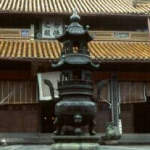 Description: The incense burner in front of Zenko-ji. 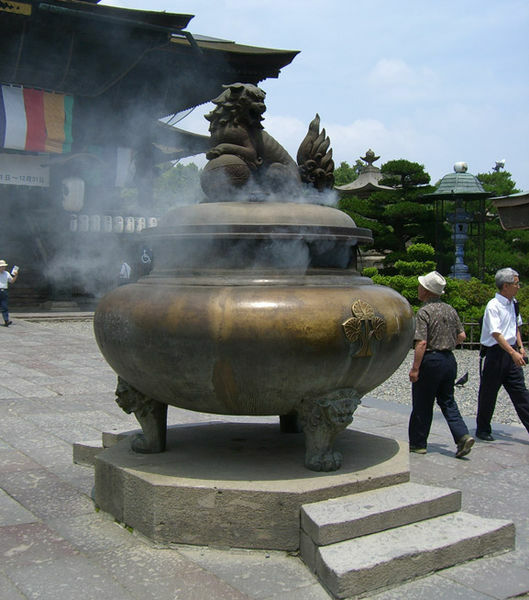 Visitors rub the incense smoke on their bodies for good health and fortune. 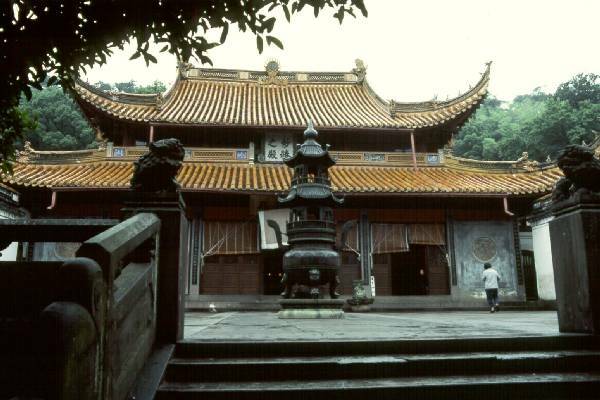 A high priest or priestess holds early-morning blessing ceremonies here.